Kostengünstiger bei gleicher Qualität als das Orginal und passen garantiert ! Angebot / Kontakt / Anfrage: bitte Pumpen Hersteller und Pumpen Bezeichnung angeben, Danke. 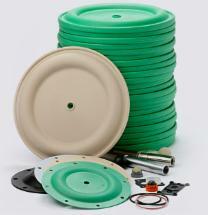 Pumper Parts and its products are not affiliated with any of the original equipment manufacturers referenced herein. All original equipment manufacturers’ names, colors, pictures, descriptions and part numbers are used for identification purposes only. Pumper Parts® is a registered trade name of IDEX Corporation. All other trademarks, registered trademarks and product names are the property of their respective owners. ARO® is a registered trade name of Ingersoll-Rand Company. Wilden® is a registered trade name of Wilden Pump and Engineering Company, a Dover Resources Company. Teflon ® is a registered trade name of E.I. Dupont Company.